"I never intended for the FF to stay apart. I thought I'd spend a year telling essentially solo stories while setting up all sorts of new subplots that would be important in the year to follow that." Shortly after you'd joined the title you were credited as being co-writer with Roy Thomas for the classic Silver Surfer/Doctor Doom storyline. How did that work out, co-writing with Roy, and presumably going from Marvel Plot with Rich Buckler? Truth to tell, it's been so many years, I don't really remember the specificity of my working with Roy on those FF's, other than that we didn't really work together. One of us (Me, I think) plotted the issue we co-wrote, then I was unable to finish the dialoguing for some reason and Roy finish the script. At least, I think that's how it went. If I'm wrong, and Roy reads this, I'm sure he'll write to let you know the actual situation. You originally left The Fantastic Four after just four issues. It's fair to say that while your run on the book was an entertaining one, it's not a title for which you're most well known. The year before you began on it you'd co-created Wolverine and were still writing for another of your creations, Swamp Thing. Meanwhile, you were also Marvel's fifth Editor-In-Chief and working on other high profile titles like Amazing Spider-Man and The Incredible Hulk. Was this workload a contributing factor to why your run on the book was initially so short? Absolutely. You also left out that I was writing The Mighty Thor at the time as well. FF was the last title I picked up and thus the first one I dropped. It was just too much of a workload. The Fantastic Four was being passed through several names at the time, all of whom were much younger than had previously been the case. You were still in your 20s when you began writing it, and Gerry Conway was barely out of his teens. Did you feel your youth helped you give the book an edge, or would you have done it differently today? I don't think my youth at the time had anything to do with it. My youthful enthusiasm perhaps, but not my youth itself. Would I have done the book differently today? Probably. After all, a lot of years have passed and I'm a different, hopefully more fully developed person. After a break of two years, you came back for a longer run, introducing such memorable characters as Nicholas Scratch and Salem's Seven. The resolution – that Agatha Harkness watched her own son be killed – always stuck with me. Did you feel it undermined the story a little when other writers decided to bring him back? I think every story stands on its own. God knows I've brought enough other people's characters back from the dead over the years. In fact, there's an axiom in this industry attributed to me (mostly because I said it). Len's Law says that in comics, nobody is ever really dead unless you can see the body...and usually not even then. Roy Thomas had introduced one of the largest supporting casts seen in the book, with Thundra, Tigra and The Impossible Man regular visitors/inhabitants of The Baxter Building at this time. However, while you kept on Impy, you wrote out Thundra and Tigra in your first issue back. Were you not keen on the characters in the title? Neither were really my favorites. The Impossible Man, on the other hand, I could have written forever. Reading back the issues, there's a fair amount of literary references in there, from Greek mythology to George Orwell to German chess moves and the New Testament. Do you feel it's the responsibility of comic book creators to help educate a younger audience? Absolutely. As a kid, I learned a great deal from the comic books I read. I always felt it was my responsibility to broaden the knowledge of my readers where possible. I still do. 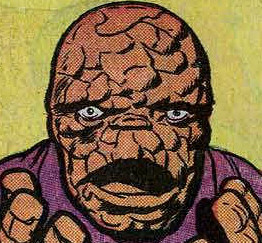 However, it wasn't always like that: the first issue you did was a late fill-in using an old Strange Tales story, another was an issue-length recap with the Thing telling Alicia all about the FF's origin and adventures*. Is being asked to do such issues less rewarding? Financially, it's the same, obviously. But sometimes scheduling crises demand these things be done. The second time you left the book saw a fairly abrupt ending with the Fantastic Four having split up and having solo adventures. Were there any long term plans you'd had if you'd stayed? Of course there were. I never intended for the FF to stay apart. I thought I'd spend a year telling essentially solo stories while setting up all sorts of new subplots that would be important in the year to follow that. But, unfortunately, I left the book before I could do any of the things I'd planned. I read a joint interview with you and Marv Wolfman dating back to 1981 when you both said you still followed the book after you'd worked on it. Is that still the case, and if so, how do you feel about the FF today? I think the current team and the several that preceded them have all done remarkable jobs. It's still truly "The World's Greatest Comic Magazine." Finally, if you had the chance to return to the title, would you take it? * This isn't entirely correct. 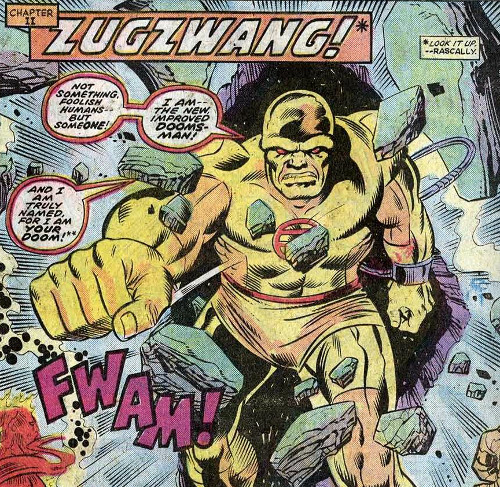 While it's true that Len's first issue as writer for the FF (#154) was a last minute fill-in, Issue #190 - a replacement recap special - was actually written by Marv Wolfman and I made a mistake when I was preparing the questions. Oops! !